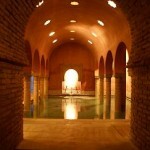 William Morris – Muslim Museum UK – Uncover the 1400 year relationship between Britain and Islam. Explore the history and heritage of Muslims in Britain. 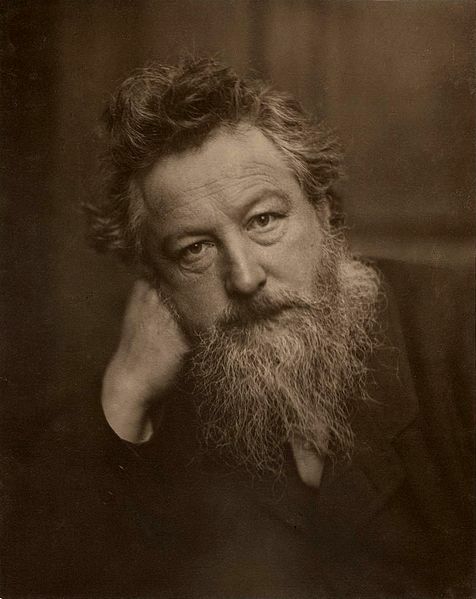 William Morris (1834 – 1896) was an English textile designer, artist, writer, and socialist associated with the Pre-Raphaelite Brotherhood and English Arts and Crafts Movement. He was a major contributor to reviving traditional textile arts and methods of production, and one of the founders of the Society for the Protection of Ancient Buildings (SPAB). In 1861, he founded a design firm in partnership with the artist Edward Burne-Jones, and the poet and artist Dante Gabriel Rossetti which profoundly influenced the decoration of churches and houses into the early 20th century. The firm would undertake carving, stained glass, metal-work, paper-hangings, chintzes (printed fabrics), and carpets, and gradually was extended to include, besides painted windows and mural decoration, furniture, metal and glass wares, cloth and paper wall-hangings, embroideries, jewellery, woven and knotted carpets, silk damasks, and tapestries.